History isn’t boring, unless you make it boring. Last week, I went to FDR’s home in Hyde Park, New York to learn more about America’s only four-term president. I thought it would be cool to see the place where so much history happened firsthand, but that’s not what any of the other visitors seemed to care about. Most of the people in the tour group were probably old enough to remember Martin Van Buren’s presidency. They must have slept through World War II, because all they cared about were mundane details. Are the palms in front real? (Yes, but they go inside during wintertime). What did the King and Queen of England eat when they visited? (Hot dogs on paper plates). How big was FDR’s stamp collection? (He had 1.2 million stamps). It saddens (and angers) me when people miss the point of history like this. 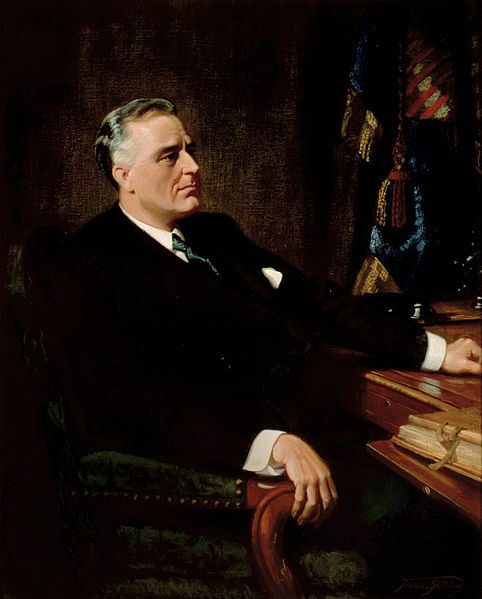 Yes, FDR was a person like anyone else, but why so much focus on the minutiae of his life? This house is where one of America’s greatest presidents met with world leaders to organize the largest war effort this country has ever undertaken. Who cares about the bloody hot dogs?! Biographers think it’s important to humanize their subjects, but this is ridiculous. In school, people are taught that there are no such things as dumb questions. I disagree. If you’re in a group of people eager to see a historic site and suddenly have the urge to ask whether the large bell on the porch is the “dinner bell,” maybe you should keep it to yourself. That’s why I’m proposing what the ad men call a “movement.” We should replace the older tourists at historic sites with young people. They won’t care about minutiae; they’ll be too busy texting. So if anyone comes to one of these sites and actually wants to see it without being bogged down by trivia, they can. That is the choice we have: hyper-interest or no interest. No wonder people think history is boring. This entry was posted on August 8, 2012, 12:00 pm and is filed under Old Stuff, Places. You can follow any responses to this entry through RSS 2.0. You can leave a response, or trackback from your own site.